Clients seeking HDClear custom printed optically clear window films, can be assured of the best products and services, and take advantage of our network of installation companies across North America and beyond. Often times, the client visualizes a graphic environment but is unable to produce large-format, print-ready art files. One of the services HDClear is most proud of is the ability to morph a concept into a beautiful product. 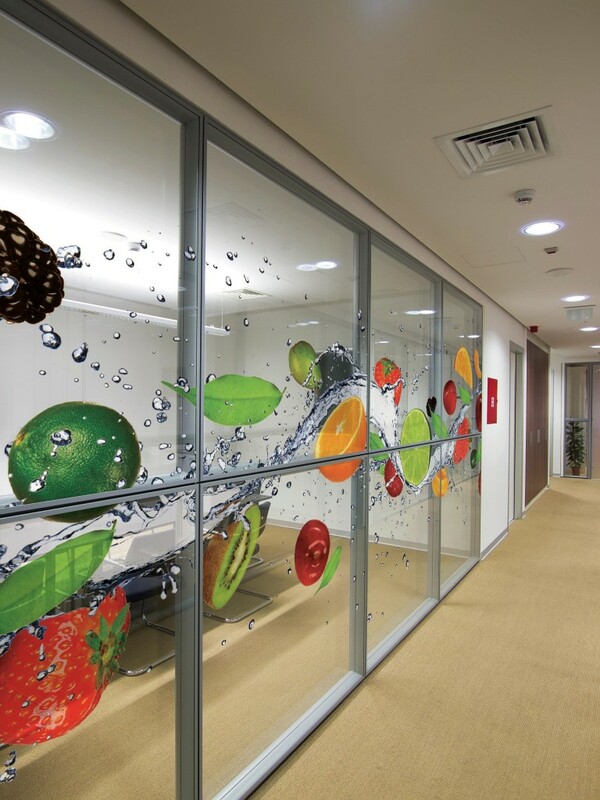 Our art team is experienced with architectural, design, and marketing initiatives and skilfully build art files for decorative window film to sustainably meet those initiatives. HDClear also helps clients bridge the art creation, decorative film production and installation deadlines. We work with installers every day whom have experience managing graphic and decorative window film projects. Unlike most projects, anything graphics related carries an emotional charge because the finished ‘look’ must be perfect. HDClear helps neutralize the tension by linking the end-user to a local installation company. This helps to foster local accountability, even if the print shop is operating out-of-state. Most clients new to large format graphics, digital imagery and custom printed decorative window film are astounded by how HDClear’s printing balances color density and desired opacity. The client is further amazed with glass-clear, optical-clarity in the non-printed areas. It’s like having the first flat-screen, 1080p TV. The vibrant imagery, the smooth contrast of colors, the clarity is evident in our reputation for delivering great products and our album of completed projects. The HDClear team has two feelings when a client calls in a new project: 1) Genuine concern to produce a quality product, and 2) Heartfelt kindness to see the client happy with a finely finished graphics project. It means our project management team is superb, our art department can bring the faintest wisps of an idea into reality, and our sales team is there for you to provide cost-efficient proposals and real-world solutions. We don’t just meet a decision-makers expectations… we exceed them! It’s easy to exceed expectations with HDClear. Any surface, Any design, Any translucency, And any Color! Smooth surface that does not catch debris, nor leaves edges that can easily lift.